1 1/2" (38MM) Wide. 4mm thick leather. The belt is very soft and easy to roll and fold. This belt is not stiff. One piece full grain with a vintage texture leather belt. Comes with one loop. Antique silver plated roller buckle in the black belt. High quality belt with a life time guarantee. Made in the USA. 5 holes belt. 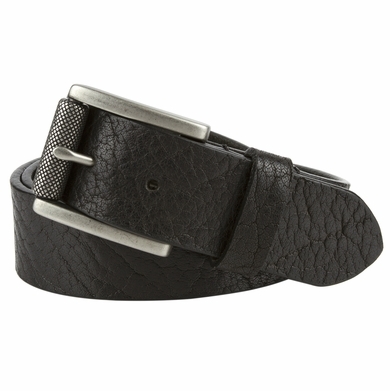 Perfect casual belt for a ready to wear.